Cloud Computing: A Practical Approach provides a comprehensive look at the emerging paradigm of Internet-based enterprise applications and services. 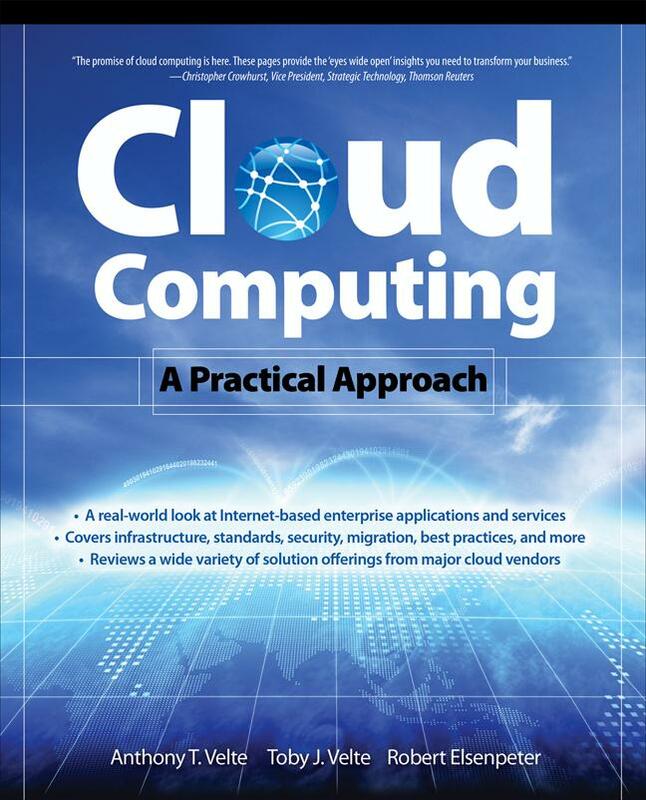 This accessible book offers a broad introduction to cloud computing, reviews a wide variety of currently available solutions, and discusses the cost savings and organizational and operational benefits. You'll find details on essential topics, such as hardware, platforms, standards, migration, security, and storage. You'll also learn what other organizations are doing and where they're headed with cloud computing. If your company is considering the move from a traditional network infrastructure to a cutting-edge cloud solution, you need this strategic guide. Anthony T. Velte, CISSP, CISA, is an award-winning author and cofounder of Velte Publishing, Inc. He is the coauthor, with Toby Velte, of Microsoft Virtualization with Hyper-V and four editions of Cisco: A Beginner's Guide. Toby J. Velte, Ph.D., is an international, bestselling, award-winning author of business technology articles and books and cofounder of Velte Publishing, Inc. He is part of Microsoft's North American practice focused on helping growing companies with their business and IT strategies. Robert Elsenpeter is an award-winning author and journalist. He is the coauthor, with Anthony and Toby Velte, of Green IT: Reduce Your Information System's Environmental Impact While Adding to the Bottom Line.